The Three Chambers Test measures the sociability of a mouse. Sociability in this context is an animal’s instinctive tendency to stay in frequent contact with a social partner.Each animal is tested twice. Before and and after treatment. 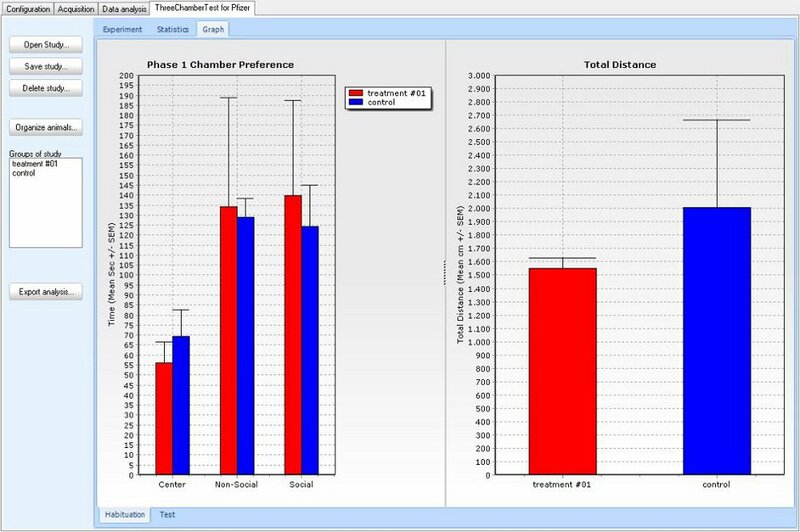 The Biobserve Three Chambers Test Plug-In computes typical test parameters from our Viewer video tracking software track data and produces result tables for test groups. Different scenarios are used in the Three Chambers Test. Approaches differ mainly in what is presented to the test animal. a novel mouse and a familiar mouse. a novel or familiar mouse and nothing else. a novel or familiar mouse and a known or novel object. Test protocols can also differ regarding the total time spent in the aparatus, the habituation time, the latency until cues are presented and the time span between trial one and two. The software covers all these possibilities and even helps to do all experiments with perfect timing. 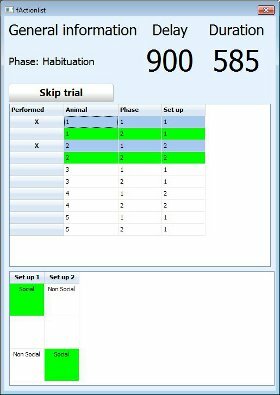 For each experimental group the software generates a trial one (Habituation) and a trial two (Test) result table. Statistical group comparison is included. Result presentation is done on three tabbed pages. The Experiment page displays result tables. These tables hold parameter results in columns and trials in table lines. The Statistics page looks alike. Instead of trials the tables hold Averages, Standard Deviations and Standard Errors. On the Graphs page bar charts visualize the most important statistics. Each bar stands for one group. Blind testing is supported by the software. 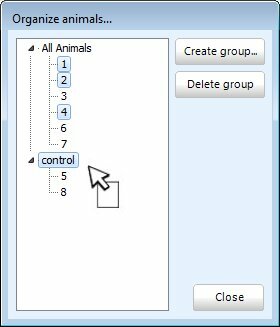 When you are done with your tests, you can easyly drag and drop your numbered animals to the test-groups they belong to. Three Chambers Plug-In already considers that this test with two trials per animal needs to be planned thoroughly. Thus it has a built in experiment designer. You can prepare job list to run up to eight setups simultaneously. For High throughput it is even possible to run several computers simultaneously and to save results to a common list on a shared network drive. The software displays countdowns to let you know when a trial or a pause ends. According to your plan you are informed when and where to put each single test animal and how to equip the cylinders in the respective setup. In the example list on the right five animals are tested in two setups. The color-highlighted table lines indicate that animal #1 and #2 already had their habituation trial and their second test is currently ongoing. What do you need for a Three Chambers Test setup? We can provide you a turnkey setup with all required components. Get a quotation.